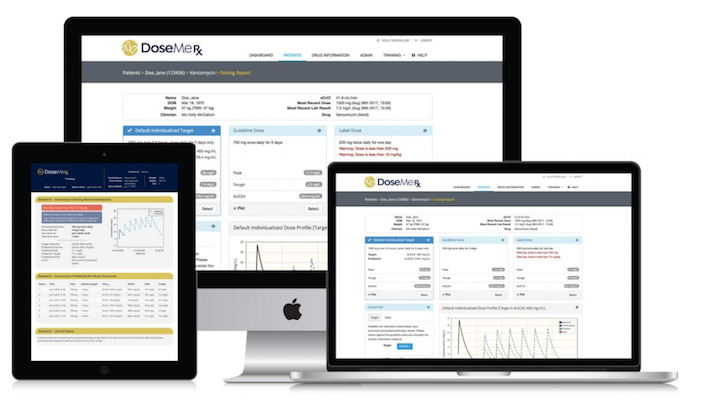 As part of the deal Tabula Rasa will acquire the DoseMeRx platform, which gives clinicians information about how a patient will metabolize and absorb certain medications. This morning Tabula Rasa Healthcare, a digital health company focused on medication safety, announced that it has agreed to acquire Australian company DoseMe for an undisclosed sum. The acquisition, which is set to close the first quarter of 2019, means Tabula Rasa will be acquiring DoseMeRx, a platform designed to help clinicians and pharmacists figure out the proper dose of medication for high needs individuals. According to the companies, the platform examines the patients' pharmacokinetics, which includes how well they can metabolize and absorb the medication. After the deal is officially closed, DoseMeRX will be integrated with Tabula Rasa Healthcare’s Medication Risk Mitigation technologies, which target hospital use integration. For doctors, finding the proper dosage for a medication can be tricky. With some studies projecting that medical error is the third leading cause of death in the United States, many companies are looking for ways to address this crisis. Both Tabula Rasa Healthcare and DoseMe were created to tackle this problem. The companies’ leaderships have said that they can address this issue more effectively by combining the two platforms. This is not Tabula Rasa’s first acquisition. In September of 2017 the medication safety company purchased SinfoniaRx, a provider of medication therapy management technology and services for Medicaid, Medicare and Commercial Health plans. That acquisition was expected to help Tabula Rasa expand its MTM programs to strategic markets—specifically providers, commercial payers, pharmacy benefit managers and self-funded employers.